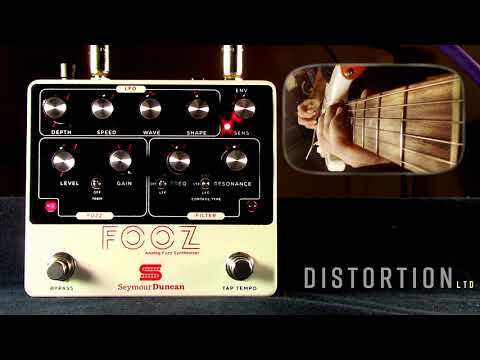 Fuzz, modulation, and control — with an all analog signal-path, designed to synthesize the ultimate fuzz tone. Many guitar pedals can make your guitar sound like a synth, but few capture the tactile feeling and interactivity of using one. Real analog synths use different blocks (oscillator, filter, LFO, envelope) that work together to create unique new sounds and textures. Combining these tools in one box and allowing them to interact with each other is the spirit of the FOOZ. 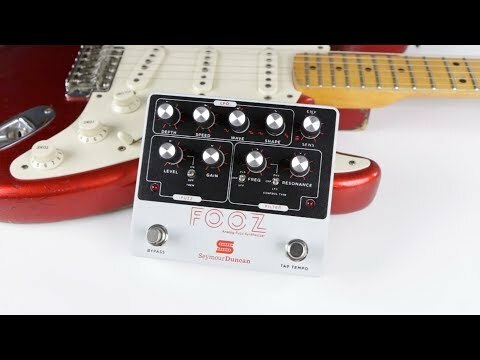 FOOZ uses a heavily saturated square-wave fuzz to transform your guitar into the ‘oscillator’, ready to be sculpted by other blocks—it also makes for a great fuzz tone by itself. The next element is the Filter which can be set to a Low Pass Filter (based on what you’d find in classic synths) or a Band Pass Filter which works more like a Wah pedal. Finally, a deeply tweakable LFO and an Envelope follower provide the modulation. The LFO can be used to control the overall volume and Filter Frequency. The Envelope can control the Filter and the LFO Depth and Rate. You can also control most of the surface controls with an external expression pedal (not included). The interconnectivity between blocks allows the FOOZ to be used in a variety of manners. 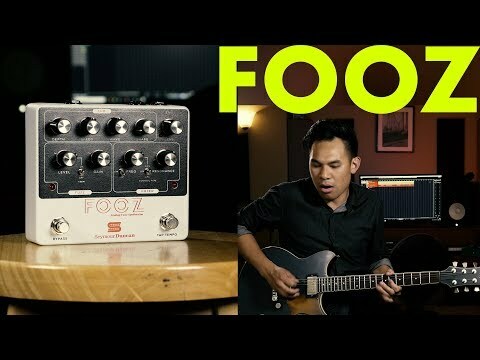 You can use it to replicate the sounds of a synth but also as a straight-up fuzz, tremolo (use the LFO to modulate the volume), auto-wah (use the Envelope to modulate the Filter), fuzz-wah (expression pedal assigned to control the BPF), rhythmic filter (LFO assigned to Filter Frequency), or a “cocked” wah (no modulation, BPF set to desired frequency). We call it an Analog Fuzz Synthesizer. 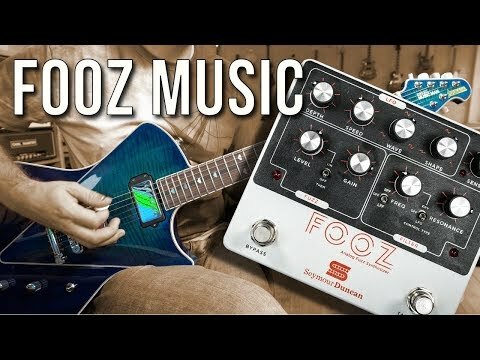 Inspired by iconic guitar tones and synth flexibility, FOOZ brings the spirit of synth creativity to guitar. 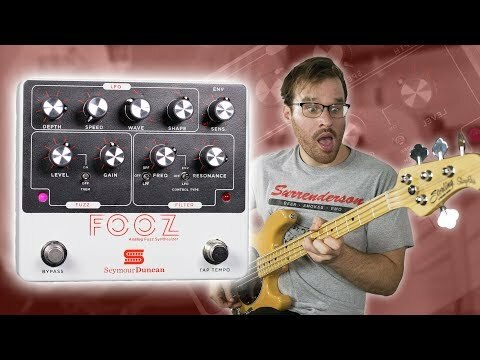 This video demon FOOZ sounds samples for guitar, bass and synth. Many guitar pedals can make your guitar sound like a synth, but few capture the tactile feeling and interactivity of using one. Real analog synths use different blocks (oscillator, filter, LFO, envelope) that work together to create unique new sounds and textures. Combining these tools in one box and allowing them to interact with each other is the spirit of the FOOZ. 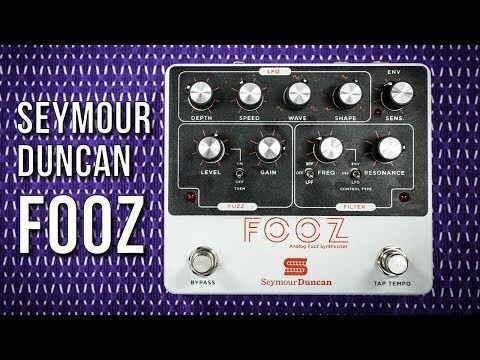 In-Depth demo video of the Seymour Duncan FOOZ Analog Fuzz Synthesizer Pedal by Shawn Tubbs. 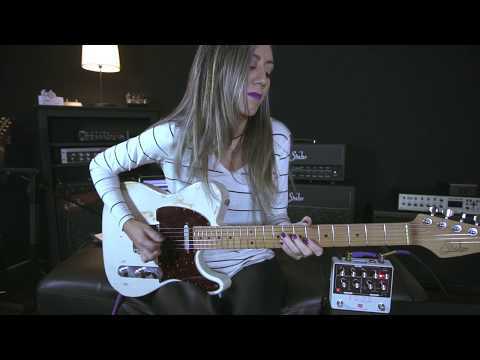 This pedal from Seymour Duncan is bundles of fun... seriously! 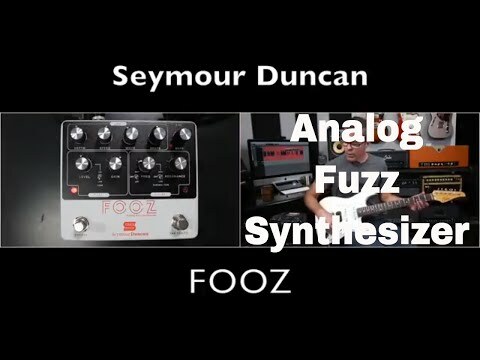 A fuzz and filter inspired by our love for analog synths. 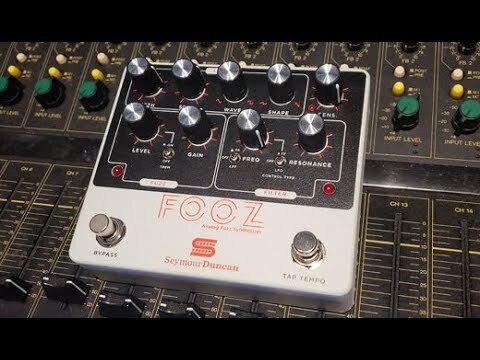 Fuzz combined with a filter, an lfo and an envelope. A straightforward fuzz or a synth machine w/ endless possibilities. 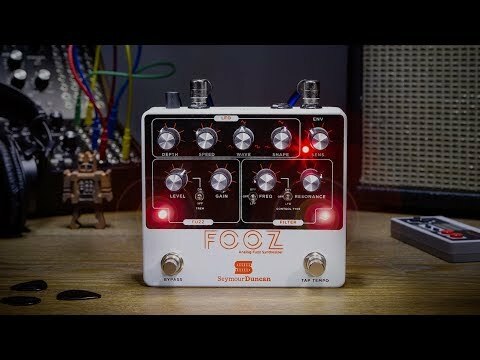 Getting groovy with this awesome pedal by Seymour Duncan: FOOZ.